If you have a problem and you are not sure how to solve it, then the best person to see in the first instance is your Form Tutor as they are the person that will know you best of all. The Year 7 Co-ordinators are Mr Gallop and Miss Cassidy and they are also available to answer your queries or listen to your concerns. 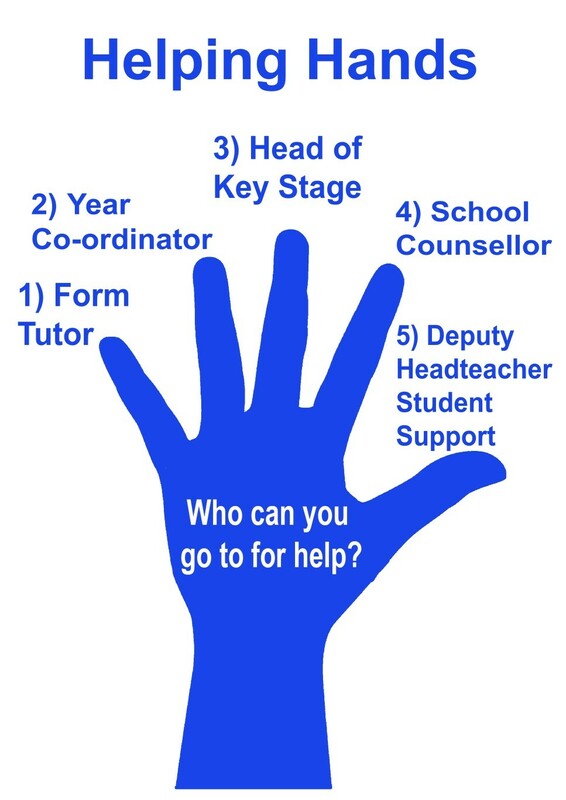 Please also refer to the ‘Helping Hands’ diagram below to help you remember all the people in school who are here to help you. All you need to do is ask!